Just about every weekend parents and children everywhere load up the van and head off to the local playing fields or courts. While many children love soccer, football, and other team sports, some do not. Not every child is cut out for the soccer or baseball team. While competitive sports offer a lot to many children, some tweens may actually find that their niche exists in the non-competitive arena. Non-competitive sports are gaining in popularity and for several reasons. They offer preteens the chance to learn a new skill in an environment that promotes growth and challenge, more than ​a competition. In addition, non-competitive sports give tweens the chance to rest their growing bodies from the demands of some competitive sports. Finding an outlet for your tween's energy and talents is important, even if he or she's not interested in playing on a team or winning. Tweens are intensely interested in learning new skills and hobbies and use them as a way to express themselves and form their own identities. And sports can help your tween stay fit, embrace a healthier lifestyle, and also meet like-minded friends. Playing a sport can also help your child learn time management skills and activities and interests can help your tween learn to relax and destress, make friends, and have fun. If your tween backs down from competition, organized team sports, or just needs a temporary break from competition, consider introducing him or her to a non-competitive alternative. If you're worried that your son or daughter won't take away as much from a non-competitive sport as from football, basketball, or baseball, take a breath. Experts say as long as your child has your full support and interest, he or she will come out a winner. In addition, non-competitive sports do offer competition, in some form. Rather than competing against a team or another player, your tween is really in competition with himself, to improve his or her score, time, or abilities. 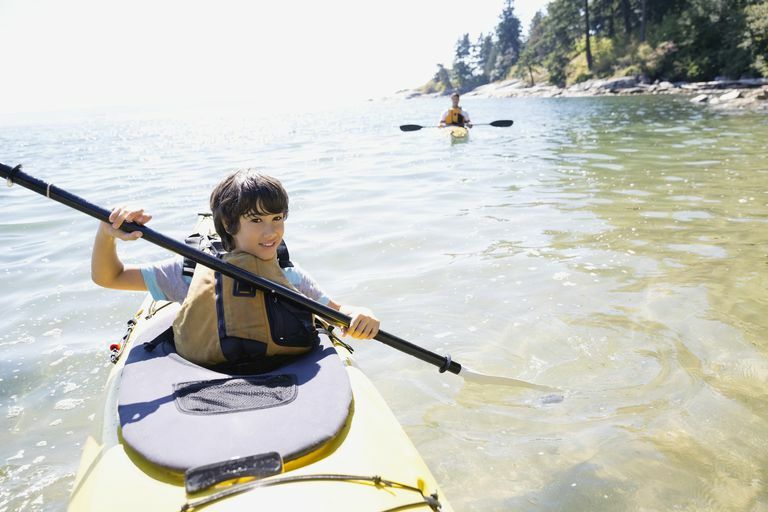 For example, the sport of kayaking emphasizes not speed, but stroking, following safety guidelines, and enjoying the outdoors. There's another advantage to non-competitive sports, say child advocates. They often eliminate the ugliness that takes place on the playing field. Who hasn't heard the story about the ill-tempered coach, or the foul-mouthed parent who loses it in front of everybody? Also, non-competitive sports or activities give your tween the luxury of learning or improving his skill in his own time. In addition, non-competitive sports may allow your child to better balance his or he schedule and pursue other interests, as they might not be as time-consuming. Parents can find non-competitive sporting options in a number of places. The first place to call is your local department of parks and recreation, followed by area YMCAs, YWCAs, and after-school clubs or groups. Note: If your child is hesitant to try something new, consider making it a family event, or a special activity the two of you do together. For example, you can both take archery or surfing lessons together, or take the entire family on a hike at a local park. If you show interest in an activity your tween may decide to follow your lead. And if one activity doesn't catch your tween's interest, don't lose faith—keep trying until you find something that does.